Can I send a card with the gift? Yes, you can type a message in the checkout page and we will print it on a complementary card and send it with the gift. What happens if the gift does not have everything as expected? This is not really possible. We guarantee that all gifts will have the depicted products. If one is not available it will be replaced by something very similar and of equal or higher value. I don't have the exact address, can you still deliver? Just fill in the address as you know it and if it is not complete we will call the recipient for the exact address, we will try not to spoil the surprise and just tell that we are a delivery company with a package. 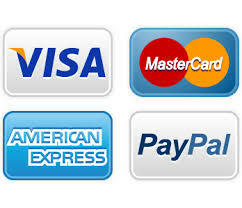 You can pay by credit or debit card, or directly from your PayPal account if you allready have one. We will send you an email informing you about the delivery of your order. We will try to deliver later and/or call the recipient to arrange for another time. If the address is incorrect we will contact you.